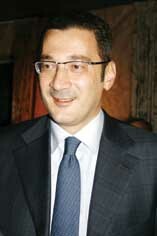 A successful banker, Lado Gurgenidze made his first foray into politics when he succeeded Zurab Noghaideli as prime minister in November 2007. He began his banking career in the 90s, working at ABN AMRO and Putnam Lovell NBF, before being appointed CEO of the Bank of Georgia in 2004, and becoming chair of the bank’s supervisory board two years later. He is credited with turning the bank into a leader in Georgia’s financial sector. Eliso Chapidze, deputy editor of the newspaper Rezonansi, says that although he has an impressive CV, the proof will be in the pudding. “He’s clever, well-educated and pro-Western. But I also think he’s very pro-central and you can see the proof of this in his attachment to President Saakashvili’s social programs which were announced as part of his presidential campaign. The real question is how well he’ll be able to implement these promises,” Chapidze said. A former attendant to Catholicos-Patriarch of All Georgia Ilia II, Subeliani first gained public attention when he became head of maintenance service of Tbilisi City Hall. He took Georgia into the Guinness Book of Records when City Hall baked a giant khachapuri and tons of satsivi. He entered the government at the same time as Gurgenidze, last November, as minister for refugees and resettlement. Although deputy editor of Resonanszi Chapidze holds him in high regard, she says his reputation is tainted by corruption rumors from his City Hall days. “I have good opinion of him as he wants to be close to people. At the same time, I don’t think he’s competent in dealing with refugee issues. Also, there’s been a lot of criticism of his work at City Hall, with accusations that he used to be involved in illegal tenders,” Chapidze says. 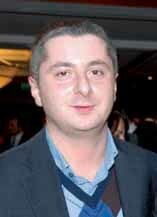 Sandro Kvitashvili, a close acquaintance of Lado Gurgenidze, is a political newcomer, having previously put his Public Administration MA to use at the New York-based EastWest Institute. He has a background in healthcare management as a former president of the Curatio International Foundation, which works on reforming healthcare systems in the former Soviet Union. 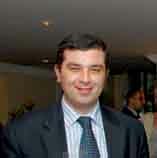 Davit Bakradze first appeared in the public eye as chair of the parliamentary committee on European integration in 2004. In 2007 he was appointed state minister for conflict resolution. He has been noted for his good diplomatic skills and extensive experience of negotiating with NATO and EU officials, invaluable assets in his new role. An archaeologist and senior researcher at the State Museum with no political background, speculation is that his appointment to this new post represents a government attempt to reach out to academics. “This is a sure sign from the government that scientists are also appreciated,” Chapidze says. 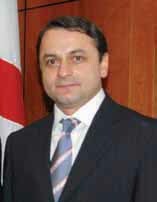 A senior member of the Georgian Foundation for Strategic and International Studies (GFSIS), Temur Iakobashvili served in the Foreign Ministry in 1991. GFSIS was one of the organizations to conduct exit polls in the January 5 presidential election which provoked much criticism from opposition figures. The opposition have already claimed there is a connection between the exit polls, which predicted a victory for Saakashvili, and the appointment of Iakobashvili. Nika Gvaramia, a former MP and leader in Saakashvili’s National Movement, was appointed deputy Prosecutor General in March 2007. In this capacity he was the public face of the Prosecutor General’s Office when it accused former presidential candidate Badri Patarkatsishvili of attempting to organize a coup. Chapidze says he will also stick in the public’s mind after authorities accused opposition leaders of being in cahoots with Russian intelligence officers on November 7, the day of a violent police crackdown on anti-government demonstrators in Tbilisi. 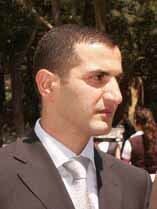 A Harvard graduate, Eka Sharashidze formerly worked as an economic adviser to the president. In November 2006 she became head of the president’s administration, monitoring the administration’s activity and the execution of presidential decrees as well as supervising presidential envoys in the regions. She holds an MA in Public Policy from the Kennedy School of Government. 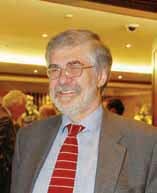 Gia Nodia, an academic at the Caucasus Institute of Peace, Democracy and Development, has taught at universities in both Tbilisi and the West. Like Temur Iakobashvili, he is facing criticism from the opposition who claim there is a connection between Nodia’s appointment and the fact that he works for one of the organizations which helped organize exit polls on January 5. 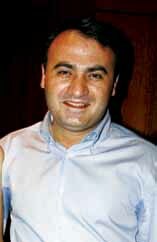 Davit Tkeshelashvili is stepping into his third cabinet role in two years. Initially appointed minister for environmental protection and natural resources in 2006, he became minister of health, labor and social affairs in August 2007. Another academic, Zaza Gamtsemlidze was formerly director of the Georgian Botanical Institute. He has no political background. Until now, Nika Vacheishvili was deputy minister of monument protection, culture and sport, grabbing the media spotlight with his extensive travels throughout the country to monitor historical monuments. 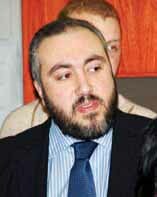 Vano Merabishvili has been Interior Minister since the post was created in 2004. A close ally of Saakashvili, he supported the Rose Revolution and initially becoming National Security Adviser in the post-revolution administration. He has courted controversy as Interior Minister, especially after the 2006 murder of Sandro Girgvliani in which high-ranking Interior Ministry officials have been accused of complicity, and remains one of the most unpopular cabinet ministers. Western-educated, with a background in finance, Nika Gilauri first obtained a cabinet post in 2004 as energy minister, before returning to his field as finance minister in August last year. Kezerashvili headed the financial police in the wake of the Rose Revolution where he developed a reputation for ruthlessness, before being appointed defense minister in 2006. Prior to his appointment to the minister’s post in 2006, he served as deputy minister of internal affairs and the special presidential envoy in Kakheti region.